At Majors Home Improvement, we believe that home improvement should be easy. Communication should be straightforward and service should be customer centric. That’s exactly the type of experience we deliver to our customers every day. We are one of the leading window replacement companies in the Destin, Florida, area, proudly maintaining an A+ rating with the Better Business Bureau and a five-star rating with GuildQuality. With Majors on your side, you’ll have the type of home improvement experience that you previously could only dream about! At Majors, we provide Red Carpet Service for our customers, which means we will go above and beyond to ensure your window replacement happens seamlessly and efficiently. We will not only provide the respectful service you expect, such as arriving on time and leaving behind a clean home when we’re finished but also take care to reduce the stress of your pets who may be anxious about our presence as well as mind your landscaping while we’re working. What’s more, you can depend on expert installation service from our team of factory-trained craftsmen. They are highly experienced and will precisely and efficiently install your new windows with impressive attention to detail. We’re proud to install our own line of Majors Select™ Vinyl Windows that operate effortlessly in all weather conditions without expanding or contracting. 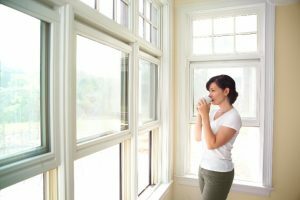 They are also energy efficient, composed of welded frames, insulated glass, and designer cam locks that draw the window together for a tight seal. This is a necessary feature for homes in Florida, where the hot summertime months can be a drain on an air conditioning system. To learn more about the window replacement services we offer to homeowners in the Destin area, contact Majors Home Improvement today.